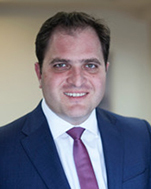 Mr. George Pitsilis, Governor of the Independent Authority for Public Revenue, is an Attorney at Law, researcher and experienced professional. He has graduated from the Athens School of Law (LL.B. ), where he also obtained an LL.M. in Public Law. He has obtained a DEA in Tax Law from the University Pantheon-Sorbonne (Paris I). He is, also, member of the editing committee of Greek legal reviews, author of several articles and commentaries in Greek and international legal reviews.